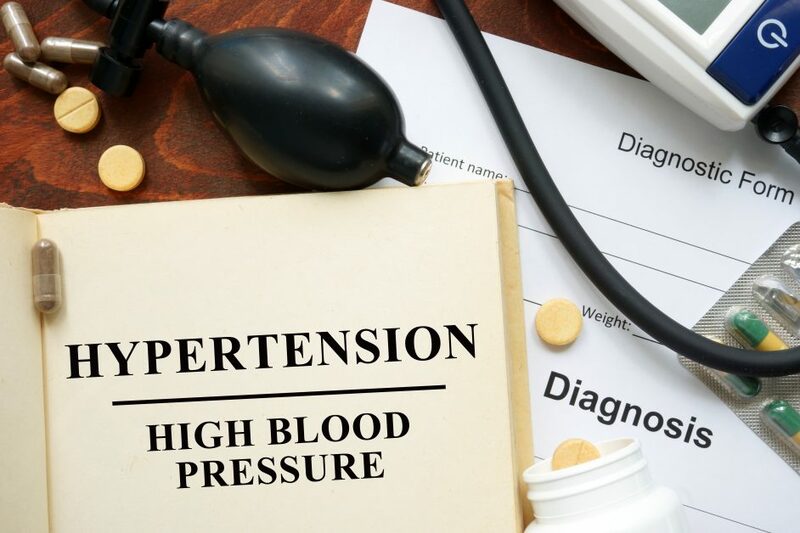 High blood pressure (Hypertension) is a significant risk factor for heart attack (Myocardial Infarction), stroke (Cerebrovascular Accident), and sudden death. It is frequently asymptomatic, and if left untreated for several years, can lead to congestive heart failure and kidney failure, chronic conditions that can severely affect a persons’ quality of life (http://www.nhlbi.nih.gov/health/health-topics/topics/hbp). High blood pressure is frequently in the news and I would like to bring two of them to your attention. One is the SPRINT study and the other is the DASH diet. The SPRINT (Systolic Blood Pressure Intervention Trial) study began in the fall of 2009 and was concluded earlier than originally planned by the National Institutes of Health (NIH) in 2015, in order to quickly disseminate the significant preliminary results. It is the largest study of its kind to date to examine how maintaining systolic blood pressures at a lower (< 120 mm Hg) than currently recommended level (< 140 mm Hg) would impact cardiovascular and kidney diseases. The study showed reduced rates of heart attack and stroke by almost a third and the risk of death by almost a quarter if the lower (< 120 mm Hg) blood pressure was targeted. The difference in systolic (the top number) blood pressure of 140 versus 120 may not seem like much, but the healthcare industry and doctors have taken note and will become more insistent on achieving the lower systolic blood pressure of 120 mm Hg. The DASH (Dietary Approaches to Stop Hypertension) diet, for the sixth straight year as reported by U.S. News & World Report on Jan 5, 2016, is the healthiest diet amongst 38 rated eating plans. The specifics of the diet emphasizes eating fruits, vegetables, whole grains, lean protein and low-fat dairy while avoiding calorie- and fat-laden foods, red meat, and salt. The specifics of this diet seem to be in flux, and the wisdom of eating grains, whole or not, and eating dairy, low-fat or not, will be challenged in the near future. The take home message is really the association of “Hypertension” with “diet”, or better yet, eating unhealthy and being or becoming overweight, which is a risk factor for and associated with “Hypertension”. Said another way, eat healthier (however you want to define that), be a normal weight, and your reward will be less likely to be or become hypertensive. At Forge-Rx we fully grasp the significance of high blood pressure. One in three people in the United States have hypertension. Unfortunately, many have no symptoms, and with the obesity crisis spanning all ages, some are now children. The Forge-Rx Wellness program, screens for diabetes, cholesterol abnormalities, and body composition abnormalities, but first and foremost, it screens for high blood pressure. Have your blood pressure checked. If it is elevated or “borderline pre-hypertension” (> 140/90 mm Hg), purchase a blood pressure machine and measure and record your blood pressure 2-3 times a day. If overweight, embrace lifestyle changes that will allow you to reduce your weight. In general, for every 10 pounds lost, your blood pressure should decrease by about 2 mm Hg. It seems reasonable to start with weight loss, but if your blood pressure doesn’t normalize with weight loss, please seek medical attention. Your life depends on it.